We happily eat our words. 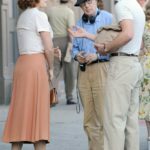 Just as we though filming had wrapped for Woody Allen’s 2017 film, we had another very public filming. 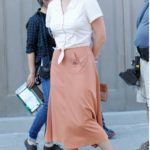 Seen on set and in period dress are what are turning out to be the three principal stars – Kate Winslet, Juno Temple and Justin Timberlake. 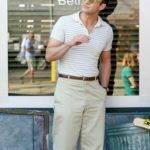 The production was in Queens, where the filmmakers had turned back to clock with vintage storefronts. 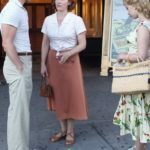 The location was listed in filming notices as Lefferts Boulevard and Hillside Avenue. We couldn’t pick the exact location. There was also filming in front of a cinema showing the 1950 film Winchester ’73. It confirms the year the film is set but we can’t pick the cinema. 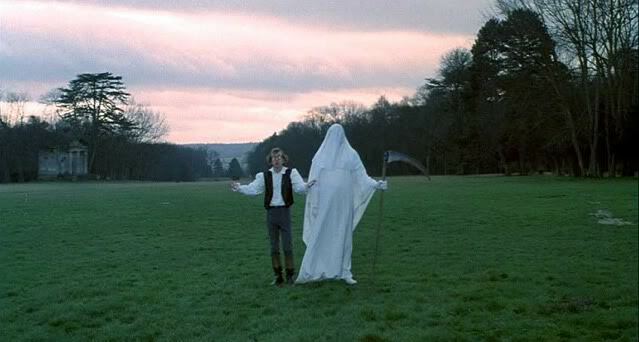 It looks like it was faked for the film. Thanks to @SewKateWinslet, a great resource. This movie’s set in the ’50s, and we’re re-creating the Parachute Jump. Even sunny beaches. It’s no longer my job to have to run around and find that anymore. Today we live in the future. While I’m home, some nerd wearing glasses in an office with a computer turns dials and creates sunny beaches. Justin Timberlake, Jim Belushi, Juno Temple are in this. We’re filming in The Bronx and all over the city. 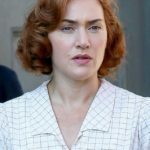 He also confirms the plot point we’ve heard about, that Winslet’s character is on the run from some killers, when talking about a particularly difficult shot. The action is, she sees killers exit so she goes for a phone. Some of her runs weren’t good for the camera because it’s on a dolly. Also the mike was in one shot. We’re not sure if filming is going to continue. There’s been no notices of further filming, but we’ve also yet to spot stars like Jim Belushi or Max Casella. We’ll wait and see! Update: the address is 11709 Hillside Avenue, Jamaica, NY. It’s the Richmond Hill Bingo Hall. 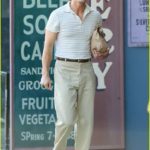 Judging by the above photos of Timberlake, even after all these years you can tell Woody still has an enduring fondness for the Converse Jack Purcell’s!!!! 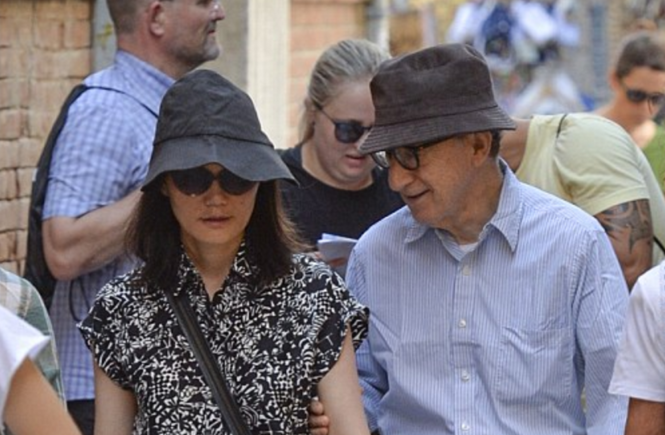 In countless movies, when Woody is rockin’ the sneakers – he’s rockin’ the Jack Purcell’s. Like Woody, they are timeless. I don’t buy it because I’m a rational man who lives in a rational world. Any other way lies madness.